2018 Better Business Bureau Integrity Award Winner! Since 1995, Better Business Bureau (BBB) Serving Nebraska, South Dakota, The Kansas Plains and Southwest Iowa has presented the prestigious BBB Integrity Awards to recognize those organizations that have business practices and related activities that exemplify the BBB’s mission and principles which include honesty, commitment and accountability. BBB’s Integrity Awards recognize companies that go “above and beyond” in serving their customers, employees and communities. Unlike other awards, BBB’s Integrity Awards focus on demonstrated ethical business practices, rather than a company’s growth, profitability or popularity. BBB Integrity Award applications are not only nomination based. All businesses, organizations and charities located in the BBB’s service area, that have been operating under the same ownership for three years or more and have an “A” rating, are eligible to apply. An independent panel of judges from the business and academic communities (Lincoln, Omaha and Wichita) select the award winners. 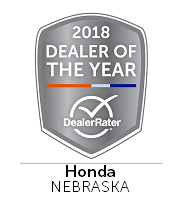 DealerRater – Nebraska Honda Dealer of the Year! for outstanding customer satisfaction as expressed through customers’ online reviews posted on DealerRater’s web site. Dealer of the Year winners. 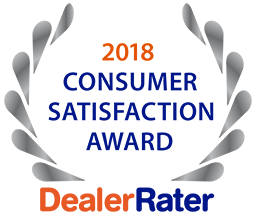 The DealerRater Consumer Satisfaction Award was first introduced in 2015, to recognize the top-performing dealerships on DealerRater. 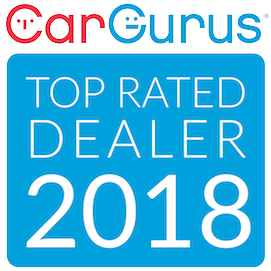 Through this award program, a percentage of DealerRater’s top-ranked dealerships throughout the United States and Canada are awarded for outstanding customer satisfaction as evidenced through customer reviews submitted to DealerRater.com. Lincoln, NE, February 15, 2018 – Honda of Lincoln earned the prestigious President’s Award by American Honda Motor Co., Inc. The award recognizes dealerships for excellence in sales performance, sales experience, service performance and business operations. In order to qualify for the President’s Award, a dealership must meet all award criteria and fully achieve its new-vehicle sales objective. For earning the President’s Award Honda of Lincoln will receive a trophy, recognition materials to display in the dealership and showroom and promotional recognition in an advertisement by American Honda Motor Co., Inc.
Congratulations, Honda of Lincoln has been named a 2018 CarGurus Top Rated Dealer due to your exceptional dealer rating! This award is a testament to your dealership’s outstanding customer service and helps establish trust with future buyers. We are excited to recognize your dealership in this exclusive category of top performing dealers who share our commitment to building a transparent shopping experience. Discover the difference. Experience the value. Honda of Lincoln is Lincoln’s premier Honda dealer, winning American Honda’s prestigious Presidents Award 10 times, most recently in 2016.